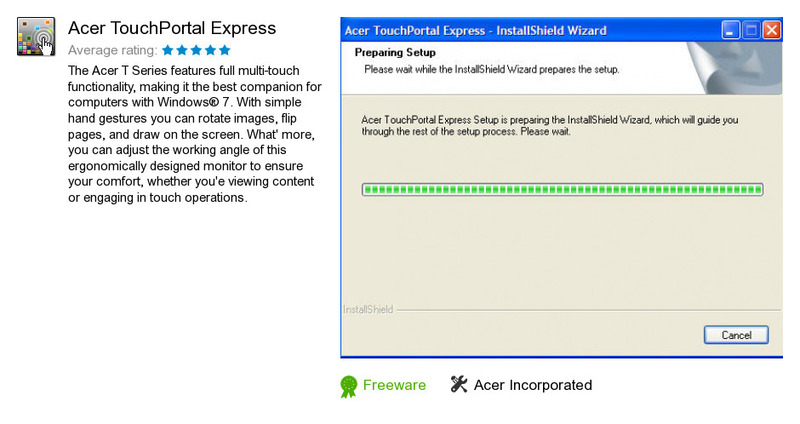 Acer TouchPortal Express is a software product developed by Acer Incorporated. We know of version 2.0. Version 2.0.3003.274 is available for download at our site. Acer TouchPortal Express package has a size of 113,760,989 bytes. Acer Incorporated also publishes Clear.fi Photo and Acer Upgrade Assistant Tool.